Staged inside Chichester Cathedral a spectacular Son et Lumière from the 8th to 22nd November, in celebration of the Cathedral's 900th anniversary. 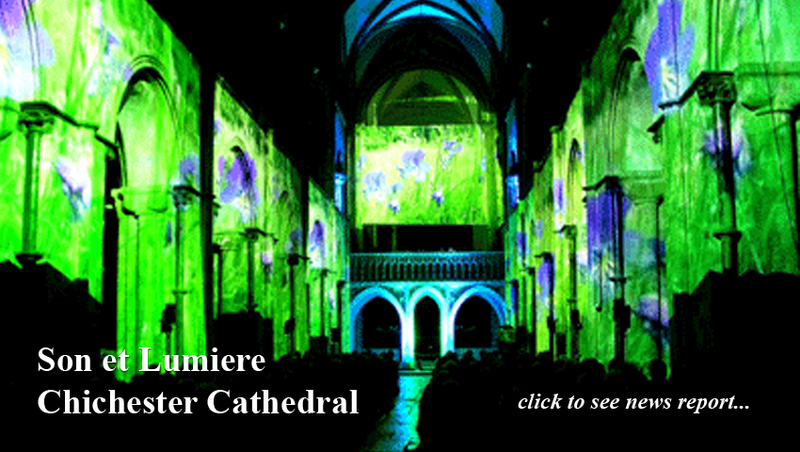 State of the art projections onto the walls of the Cathedral, lasers and surround sound, told the story of the the Cathedral's 900 years, from its consecration 900 years ago, through the centuries of history right up to the present day. 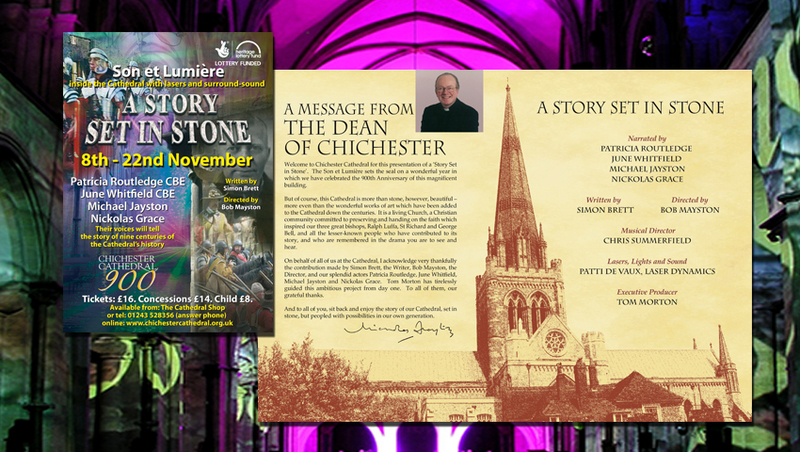 The story, titled 'A Story Set in Stone' created and directed by Bob Mayston and scripted by the famous sussex-based novelist Simon Brett and narrated by four great friends of the Cathedral, Patricia Routledge CBE, Nickolas Grace, Michael Jayston and June Whitfield CBE. 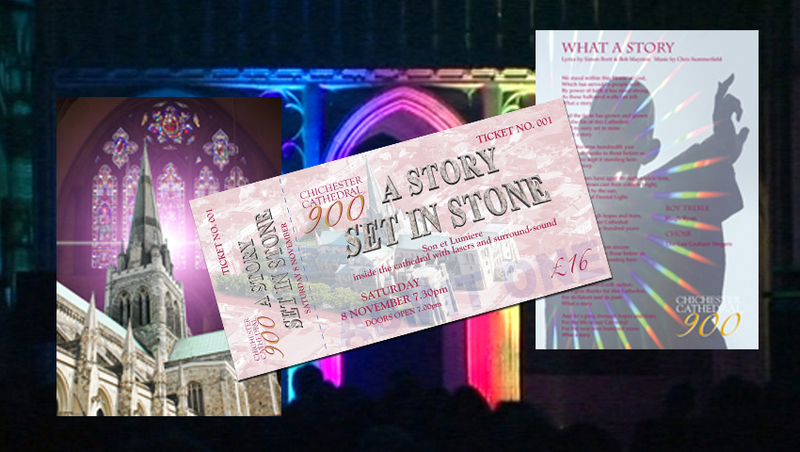 "A Story Set in Stone has been a marvellous experience for all of us. More than five and a half thousand people have come to see it and have been introduced to Chichester Cathedral and its rich history. We are so grateful to the writer Simon Brett and the Creative Director Bob Mayston for making this possible, and to the National Heritage Lottery Fund and private backers who have enabled us to bring it to birth. The Son et Lumiere has brought a memorable end to Chichester 900."